Francis Contreras books ticket to space for one of Virgin Galactic’s sub orbital flights to space and becomes the first Female Mexican to do so. Contreras’s mission is to draw attention to the world’s first ever venture into space tourism. 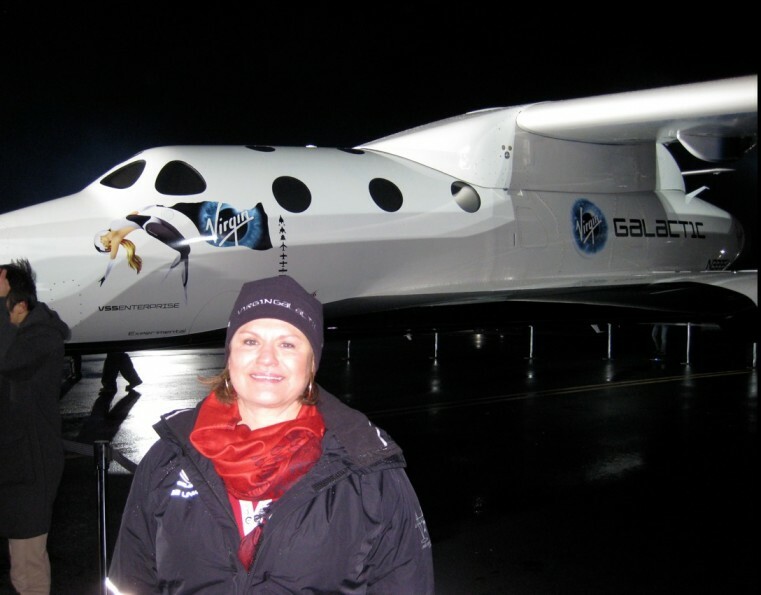 Sept. 20, 2012 - PRLog -- San Diego, CA- Francis Contreras, a nationally recognized travel advisor and Virgin Galactic Accredited Space Agent (ASA), made the giant leap and booked her own reservation for one of Virgin Galactic’s first 200 flights into space. Contreras’s mission is to draw attention to the world’s first ever venture into space tourism. Charged with unbridled enthusiasm, a passion for adventure, and a willingness to go to the ends of the earth—and beyond—to better serve her clients, Contreras will enjoy the unique distinction of becoming the first female Mexican astronaut. Upon her return, she will use her first-hand experiences to better inform her clients about everything they can expect from a Virgin Galactic spaceflight—from pre-flight training to takeoff to the thrilling, final reentry. “I pride myself in staying on the cutting edge of travel trends, and I would never recommend a trip I wasn’t willing to take myself. I’ve already been to all seven continents. Space is truly the final frontier,” said Contreras. As Contreras awaits her big adventure, she intends to keep her clients in the loop about all the latest program developments, including the exciting events held by Virgin Galactic and Sir Richard Branson leading up to the launch. Francis Contreras is the owner and founder of Travelworld of Coronado, a Virtuoso boutique agency in Coronado, California. With over 30 years experience in the travel industry and voted one of the top 25 Agents in 2011 by Travel Agent Magazine, she and her highly trained staff are committed to delivering the best experiences for the best possible value. Contreras attributes her company’s success to its emphasis on superior customer service and client satisfaction. In 2009, Virgin Galactic handpicked Contreras to be one of 120 accredited space agents worldwide. To find out more, visit http://travelworldspaceagents.com . Virgin Galactic is owned by Sir Richard Branson’s Virgin Group and Aabar Investments PJS, and is on track to be the world’s first commercial spaceline. Early bookings have now exceeded the number of humans who have ever flown to space. Travelworld of Coronado Space Agents are standing by!